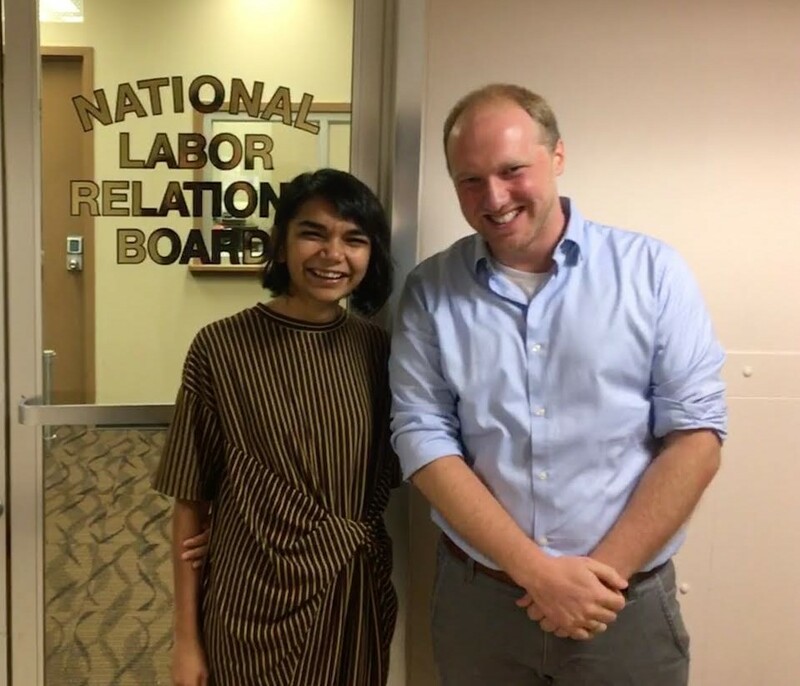 We are happy to report that we concluded our hearings at the National Labor Relations Board (NLRB) yesterday. For our case, we had two postdoctoral researcher witnesses give testimony about their experiences at Columbia showing the common conditions and nature of our work whether we are classified as Postdoctoral Research Scientists/Scholars, Postdoctoral Research Fellows or Associate Research Scientists/Scholars. Please tell us why you plan to vote ‘yes’ for CPW-UAW as your union. Columbia wanted additional hearing time to put on evidence and testimony to support their argument that Postdoctoral Research Scientists (PDRS) and Postdoctoral Research Fellows (PDRF) are not employees and should be denied the right to a union. The regional NLRB rejected their request, based on previous NLRB decisions, but did allow them to submit an “offer of proof,” essentially a summary of what their case would have been if the NLRB allowed hearings on their claim that PDRS and PDRF are not employees. Now that hearings have concluded, the union and the employer get to submit “briefs”, final written arguments, to the NLRB by September 4. Once briefs are submitted, the NLRB regional director will issue a decision about who is eligible to be represented by our union and schedule an election. While the NLRB’s rejection of devoting additional hearing time to the University’s position that PDRF and PDRS are not employees was a positive step in moving the process forward, the University’s willingness to attempt to block or delay a democratic vote on unionization makes clear how important it is for us to prepare to have a large majority vote in favor of unionization when the time comes. Please take a minute to join postdoctoral researchers all across campus who are talking about why we plan to vote ‘yes’ for CPW-UAW as your union.